Creating interactive wireframes for web and mobile has been one of the very first objectives of Justinmind. With the new Justinmind Online Account, you can publish your wireframes online and carry out remote usability tests. 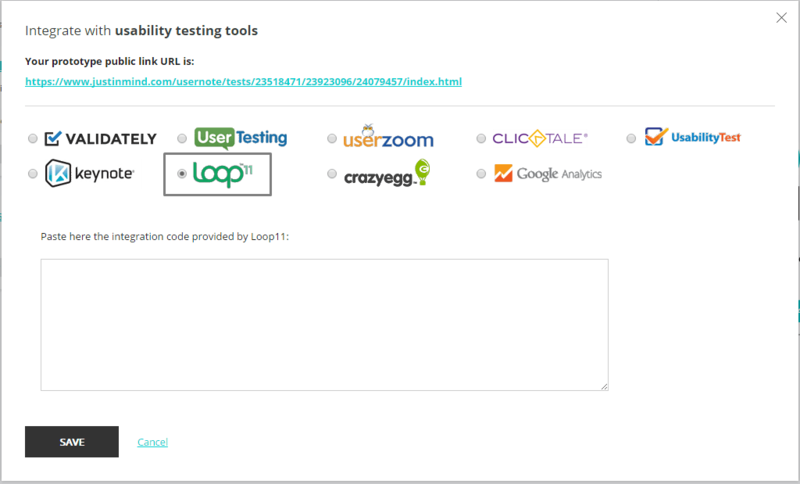 We’ve just integrated Loop11, the popular usability testing tool, into the Justinmind interface. You can now create your interactive website wireframe with Justinmind, publish it on Online Account and test it seamlessly with Loop11 without leaving Justinmind. It’s as simple as publishing your wireframe in your Justinmind Online Account and, once there, choose Loop11 to test its usability! You can read more about the process here and in our tutorial section. So if you’re looking for a simple way to design and test wireframes, look no further. How to define, validate and review applications before starting to code are his thing. He is interested in everything related to web, mobile and desktop apps and how to prototype and simulate them before development starts. After hours he’s flexing his math muscles.